I feel like we are already in the middle of summer in the North-East. With this hot and steamy weather, every one is looking for some thing to cool off. I love juice. But when I look at the nutritional values in the label of juice drinks or smoothies they are all loaded with lots of sugar. So I decided to make my own juice this summer. This morning I made this Carrot Ginger juice. 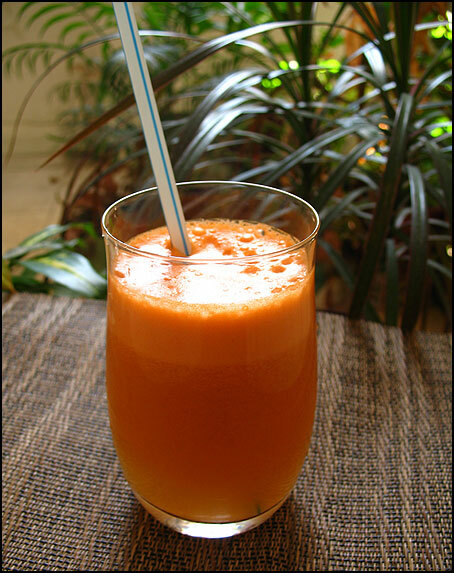 with the sweetness of the veggies and fruits, ginger gives a nice spicy flavor to this juice. Here is the recipe. Transfer to juice glasses and add ice if needed.